VICTORIA, British Columbia, Feb. 08, 2019 (GLOBE NEWSWIRE) — Emerald Health Therapeutics, Inc. (“Emerald” or the “Company”) (TSXV:EMH; OTCQX:EMHTF) today announced its cannabis joint venture, Pure Sunfarms Corp. (“Pure Sunfarms”), has through a competitive process been selected by and entered into a supply agreement with the Ontario Cannabis Retail Corporation, operating as the Ontario Cannabis Store (“OCS”), to supply the OCS with Pure Sunfarms-branded cannabis products for the non-medical market in the Province of Ontario. invest@emeraldhealth.caNeither the TSX Venture Exchange nor its Regulation Services Provider (as that term is defined in the policies of the TSX Venture Exchange) accepts responsibility for the adequacy or accuracy of this release.Cautionary Note Regarding Forward-Looking Statements: Certain statements made in this press release that are not historical facts are forward-looking statements and are subject to important risks, uncertainties and assumptions, both general and specific, which give rise to the possibility that actual results or events could differ materially from our expectations expressed in or implied by such forward-looking statements. 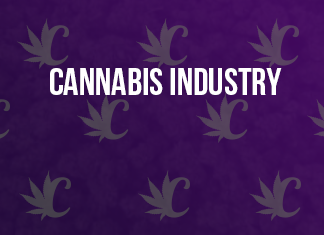 Such statements include legalization of nonmedicinal cannabis; production capacity of various facilities; expansion of facilities; and anticipated production costs.We cannot guarantee that any forward-looking statement will materialize, and readers are cautioned not to place undue reliance on these forward-looking statements. These forward-looking statements involve risks and uncertainties related to, among other things, failure to obtain regulatory approvals; failure to obtain necessary financing; results of production and sale activities; results of scientific research; regulatory changes; changes in prices and costs of inputs; demand for labour; demand for products; as well as the risk factors described in the Company’s annual information form and other regulatory filings. The forward-looking statements contained in this press release represent our expectations as of the date hereof. Forward-looking statements are presented for the purpose of providing information about management’s current expectations and plans and allowing investors and others to obtain a better understanding of our anticipated operating environment. Readers are cautioned that such information may not be appropriate for other purposes. The Company undertakes no obligations to update or revise such statements to reflect new circumstances or unanticipated events as they occur, unless required by applicable law.